It was a long path. Our first experiment was a pilot project Of-Cour.se! The idea was to have a blogging platform like that of WordPress, just with jingly URLs. For example Joking.Of-Cour.se/ or Nespresso.What-El.se – the web address was meant to become a sentence, even a slogan. We realised that technology is there already for years. What we needed was a strong marketing and this did not come for free. Of course we were promoted on many sites, blogs, and social networks, – but that was not enough to ring the bells. Throughout 2009 we experimented with different features, more blogs, more posts and more PR. The pilot grew into Name.ly project with the mission to help people sorting out their multiple online profiles, sites, pages, etcetera. Before About.Me was ever thought of, we already offered card services on Sincere.ly and That-Is.Me. I still use http://sincere.ly/yours/mark/ in my email footer (which is also mapped for free on my personal .com). Though I prefer sincere.ly/yours/mark – it sounds like a logical ending of each letter. When I am in hurry, I even don’t have to write “good-bye”. The footer tells it already. Then we created Name.ly/Frames – a theme allowing users to consolidate many pages under one jingly address, all in frames, loaded instantly – thus no need to click on many links. One mouse click would do it. E.g., sites.portnikov.com – a site of one prominent Ukrainian journalist hosted by our platform. Yet, the users were still not very happy. Creating each compilation took good five minutes and, though many registered, most of them never finished it completely. It is normal to have low conversion rates, and yet your start-up will tip if you learn how to break this spell. We needed a solution to do exactly the same, only in few seconds. And hence came the idea of Brief.ly. We launched Brief.ly in earlier spring 2011, first in alpha, then in beta, in invite-only mode, then public. If you don’t have great channels to sell your services, don’t bother about invitations. They will only build unnecessary walls. We probably had a hundred of rapid iterations, added new features, changed design, added new jinglier names. My favourite is Many.at as it does exactly what it says: many pages at one address. 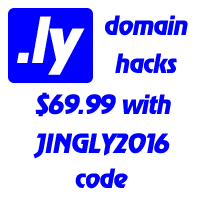 And yet, people like jing.ly sites, probably because there are already many great start-ups in .ly zone. We also love .me, so the service is available under links2.me. E.g. my Google+ URL is shortened to links2.me/m.a.kychma. Somewhat later this year, we will offer PRO accounts allowing people to run similar services on their own domain names. Currently we accept application for those willing to run a trial. If you want to grow rapidly, hook on existing API of service recognised worldwide. Since this month we offer a WordPress plugin Links2Tabs [http://links2tabs.com/ ]. Installing takes a minute and everything is done automatically. People love easy and simple solutions. What are the biggest challenges you have faced launching Brief.ly and how you solved them? The question every entrepreneur is asking himself is “when enough is good enough?” Depending on your character it can be anything from yesterday to never. We have a-mile-long list of things we could still do potentially better, then telling the team: “hey, this is the deadline, and we are going live whatever it takes” – helps. Make sure you have a good back-up procedure. Just six hours before we were about to publish our first big press-release, RAID failed on our database server. We spent 30 hours trying to restore the data. Unfortunately the short circuit killed the controller and the hard disks. One could scream and cry about negligible probability of such an event – we just had to recover everything from the external copy. Stay focus, don’t try to compete with everyone. Know your markets. Define your markets, build them. Go to the new horizons. Create new products, explore new niches. Don’t try to create another Google or Facebook. Create your Brief.ly or Many.at. Then you stand better chances of playing the big game. Posted on Thursday, July 28th, 2011 at 9:46 am.